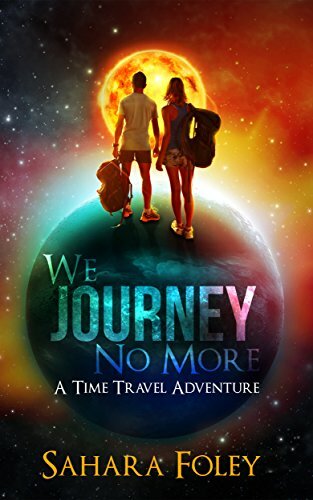 When runaway teenagers Don and Janet pull off the mountainside road for a few hours’ rest, they don’t expect to wake up 1000 years in the future. There, Earth is a desert planet where nomadic tribes are little more than slaves to the Ganu, the powerful and dominant ruling tribe. Dangers lie at every turn, but Janet and Don are soon befriended by one of the tribes that roams the small zone not contaminated by radiation. When Don is hailed as the mythical, prophesied savior of the small tribe, they must use all their cunning and resourcefulness to defeat a powerful, cruel enemy and save the lives of their new friends. Hurry up and take advantage before the price goes back up. This is a delightful tale of Sci Fi adventure for readers of all ages! Sahara Foley is a friend of mine and a great author. This is your chance to try out her writing for FREE. If you like this novel, I have it on good authority that one of her best horror stories will be free soon, and I will tell you when, right here, in Names starting With "Z".